Everyone has a dream wedding in mind, but with that comes wedding worries and mishaps. 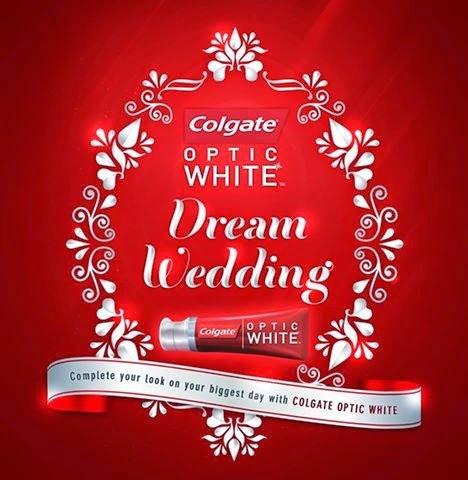 Now, future brides can join the ranks of Manila's most beautiful by being part of Colgate Optic White's Dream Wedding contest. By uploading a short video of their absolute worst wedding worries on the Colgate Philippines’ Facebook page, one lucky bride will have the chance for her wedding to be captured through the eyes of Pat Dy and Jason Magbanua. “Everyone wants a ‘white wedding’ – a wedding where everything’s spotless and everything goes according to plan,” says Magbanua. Solenn understands that memories are sustained through one’s photos and wedding video, some of the most precious reminders of a bride’s most thrilling day. “With Colgate Optic White, there is one wedding woe that you need not worry about: the perfect wedding smile,” says Solenn. Magbanua and Dy agree. “If there’s something that completes a bride’s look, it’s definitely her perfect white smile,” says Magbanua. “It’s the one day in your life where literally all eyes will be on you, and it’s a day you’ll want to relive over and over,” says Dy. “I’ve taken hundreds and thousands of photographs, and it’s really the perfect white smile that makes all the difference,” he adds. “There are certain key moments in a wedding: the unveiling of the bride, the opening of the door, the walk down the aisle, and the first kiss of the bride and the groom,” says Magbanua. “You have one chance to get it right. There’s beauty in the moment, and there’s beauty in the bride. The smile says it all,” adds Magbanua. A smile can make all the difference during the wedding. It has the power to release stress, calm down nerves, and even instantly brighten the entire wedding’s atmosphere. “Your smile is a significant part of you. Not only does a white smile make you look good, it makes you and others feel good,” adds Dy. “It’s one of the first things people notice, and having the perfect white smile will definitely boost your confidence to get through any day,” says Solenn. “I’ve used the product long enough to know that you can really rely on Colgate Optic White to give you the perfect smile on your wedding day. And even if I’m not yet getting married, I still want to dazzle my man with my perfect white smile,“ she adds.